It’s simply a mismatch when a huge semi truck plows into a passenger vehicle, especially when the truck is fully loaded with cargo. The weight differential alone tells you which vehicle is going to come out the worse for wear. Add in the size of these big rigs and the flexible connection between tractor and trailer, and it’s clear that the trucks present a special danger to smaller vehicles causing horrendous often fatal semi truck accidents. That’s why the drivers of these rigs are specially licensed and held to a higher standard of skill and care. It’s also why drivers of smaller vehicles should pay special attention when driving close to the big rigs. But in real life, people are people: impatient, distracted, over-confident. So it should be no surprise that commercial motor vehicles were involved in over nine percent of all Missouri traffic crashes in 2011. Nor, given the size and weight of these rigs, should it be surprising that commercials were involved in an even higher percentage of fatal accidents: 15.2 percent in 2011. Simple physics establishes that more harm results from a heavy object striking something at a high speed than from a lighter object striking something at the same speed. If you or someone you care about has been involved in one of these accidents, you definitely need all the legal help you can get. At Murphy, Taylor, Siemens & Elliott P.C., in St. Joseph, Mo., our team of lawyers brings to your table decades of experience in making things right — as right as they can be — after accidents like these. The very nature of commercial trucking guarantees that most accidents involving big rigs will present some complicated legal issues. Needless to say, the fact that a truck involved in an accident was hauling hazardous materials can affect both the degree of care required of the driver and the injuries and damages caused by the accident. The way that the commercial trucking industry is structured, it may take time and effort just to nail down who really is responsible for the operation of the truck. Some trucks are owned by the same company that owns the cargo, with the driver simply an employee of that company (imagine a local furniture store delivery truck). Some trucks are owned by the driver, who is hired by a shipper to haul the cargo. Some trucks are owned or leased by a major trucking company, which hires the driver to carry cargo which a shipper has hired the trucking company to haul. Commercial trucking involves many large companies with the resources to fight every aspect of any claim of liability. 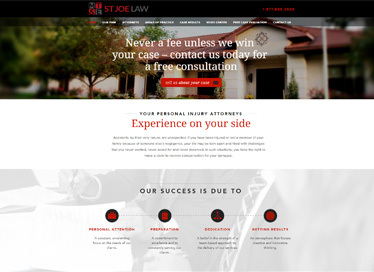 Choosing the right St. Joseph lawyers to stand up for you can be the difference between winning and losing your battle for compensation. It takes experience, determination, and skill to overcome those odds. The attorneys at Murphy, Taylor, Siemens & Elliott P.C. have successfully handled many difficult cases against insurance companies and large corporations that spent enormous amounts of money and resources in hopes of escaping accountability for our clients’ harm. We’ve been successful in cases other lawyers have turned down. Investigate the accident and its causes. Fine tune the discovery process to obtain the evidence needed to hold the people responsible accountable for the disruption of your life and your future. Present testimony about the many technical aspects of trucking, including which party is legally responsible for the truck’s operation, and whether the various regulations were followed. Call us, the St. Joseph, Mo., truck accident lawyers at Murphy, Taylor, Siemens and Elliott P.C. today for a free consultation. If your injuries prevent you from coming to us, let us know; we’ll come to you.